Team Namibia has been informed by insights derived from its 2013 Stakeholder Survey, that one of the main factors undermining the purchase of local produce is poor visibility in-store and on-shelf. Although 83.5% of respondents declared they would buy the Namibian option, 47% indicate that they are unaware which products/services are indeed Namibian. Through the Namibia Trade Forum, the proposed Namibian Retail Charter seeks to increase market access, while retailers have, according to the Namibia Competition Commission’s 2014 Retail Sector Study, welcomed the “Buy Namibian” initiative as marketing support. Team Namibia has responded by developing a ‘Retail Merchandising Strategy’, with the objective of gaining a sustainable competitive advantage for Namibian products and services, by creating a captivating and impactful shopping experience that inspires consumer pride, preference and ultimately, purchase. A process of inclusive industry consultation is required to determine the needs and parameters that will guide execution. Stakeholders are therefore invited to a consultative workshop which will take place on Thursday 23 October, 08h00 – 10h30 at the Polytechnic Hotel School. 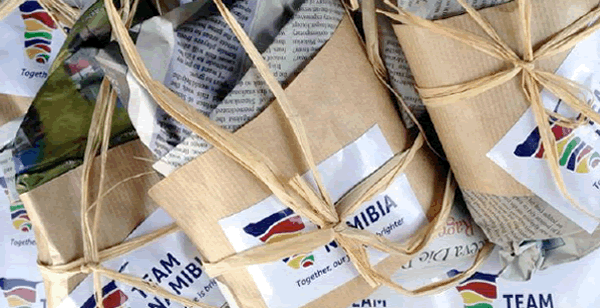 Team Namibia endeavours to go to market with the pilot, December 2014. The piloting retailers will be selected voluntarily, initially limited to the Fast-Moving-Consumer-Goods industry, in three regions; Khomas, Erongo and Oshana. Team Namibia was one of 20 local Trainers, to have participated in the in ACCESS! Training of Trainers (ToT) programme for Namibian Businesswomen in International Trade, which took place from 22 September – 02 October 2014. An initiative of the Ministry of Trade and Industry, coordinated by Namibia Trade Forum for the International Trade Centre (a division of the World Trade Organization), is intended to capacitate Namibian women in business on international trade and export requirements. The Trainers will now undergo an accreditation process before formal training can commence. Faith Arnat has joined the Team! 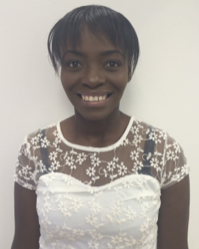 Faith Arnat has joined Team Namibia as of 01 October 2014, in the capacity of Membership Administrator. Faith hails from the hospitality and service industry having served at Gondwana Collection Namibia, as Membership Card Administrator. She brings to the Team her professional service standard, seasoned membership administration experience and off course, a burning passion to grow Namibia. Faith, we are delighted to have you on board! Our organizational strategy is to gain a sustainable competitive advantage for Namibian products and services. As a membership organization, our strength lies in what we achieve together as a team, hence our underlying principle of UUKUMWE (meaning collaboration / working together). We are pleased to announcement the following Strategic Partnership agreements, each detailing specific value and benefits for the Team Namibia national member network. 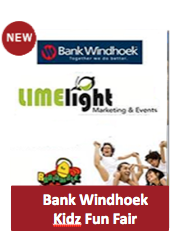 Team Namibia, will be participating at the Annual Bank Windhoek Kidz Fun Fair/Family Expo takes place on 31 October – 01 November 2014. As the future custodians of our economy, Team Namibia engages the child consumer uniquely by envoking pride and cultivating preference for Namibian goods and services, through “edutainment” and rewarding activities. We look forward to welcoming you at our show stand. Bring along the whole family!